March marks an official transition almost two years after joining National Journal. I’ll be taking over the governors beat full-time with a focus on their elections and the politics and policy updates of statehouses across the country. 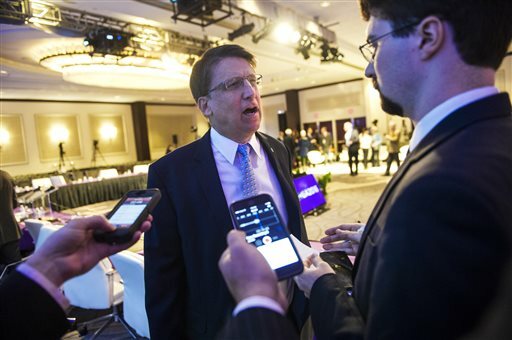 I’ve reported on governors in the past, and just last weekend interviewed 16 governors while they were in Washington, including North Carolina Gov. Pat McCrory (R) and Delaware Gov. Jack Markell (D) (both pictured). Reporting on state politics has always been a source of fascination for me, and I’m excited to shine a spotlight on leaders working at the state level far beyond the Beltway. In the meantime, I’ll still be editing the morning elections newsletter Wake-Up Call!, and even producing National Journal’s TwentySixteen podcast. Onward to Election Day 2016!